On the afternoon of Thursday, August 2nd, 2018, the KLJ Studios Beauty Studio Team prepared makeup for professional acting headshots for a Personal Branding Session. 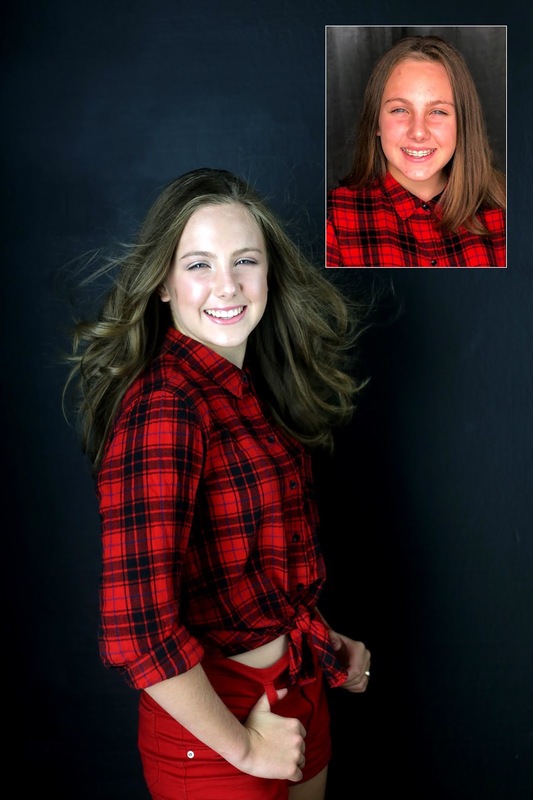 Frances, a talented dancer, swimmer, musician (loves playing the violin), and singer, was getting her headshots updated for auditions with the Woodland Opera House in Woodland, California. Frances has been acting in shows at the Opera House since before she was a teen, and we are so glad she chose KLJ Studios to take her Professional Acting Headshots. Also to note is that Frances' dad is part of a well-known local band, "The Bottom Dwellers" (https://bottomdwellersmusic.com/). Frances' beautiful vocals can be heard on several of The Bottom Dwellers' songs. This Makeup Service for Professional Headshots was provided In-Studio at KLJ Studios on 1st Street in Historic Downtown Woodland, California. The Lead KLJ Studios Makeup Artist for this session was Veronica Marshall. Natural, soft teen makeup was required for this young teen. 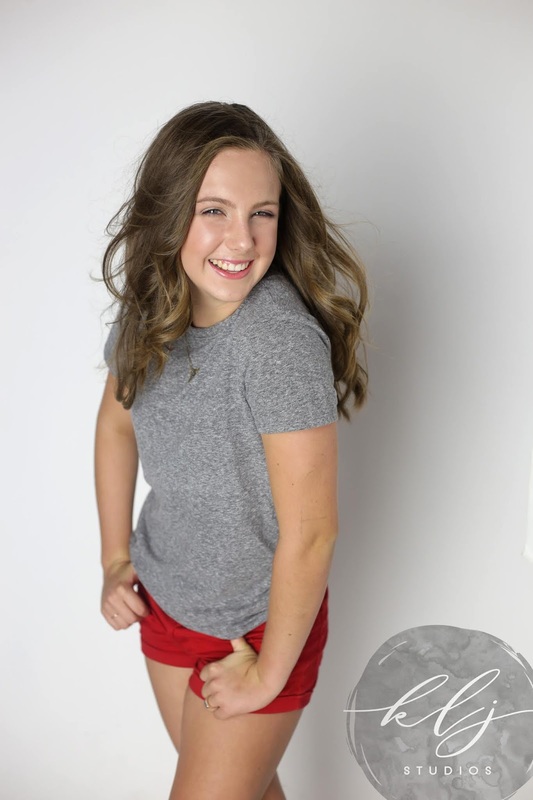 We smoothed out very minor teen imperfections on her skin and gave her a nice smooth glow for her skin and complexion. For Frances, we used hydrating and gentle products for her delicate teen skin and used age appropriate makeup techniques. Everything was kept very light and soft to avoid looking overdone. We wanted to also make sure dad approved her look. Artistry Hydra V vital skin serum concentrate and Beauty Balm Perfecting Primer were used for skin preparation. Artistry Hydra V Sheer Weightless foundation with SPF 15 for dewy skin was also applied. Artistry light-up lip gloss in Sweet Melon was used for a youthful pout and shine. For Frances's striking eyes we used Anastasia Beverly Hills Modern Renaissance Palette as well as Artistry Length and Definition Mascara. For her perfect rosy cheeks we applied Artistry Signature Color Blush in Soft Rose. Since Frances has adorable freckles, we kept her makeup very sheer, and she loved it! She expressed her love of highlighter and she was very clear with her needs. I, as a Makeup Artist, am very thankful for her requests and all of my client's requests because it helps make the makeup process enjoyable and helps sculpt the outcome of the makeup session into exactly what is desired for the requested makeup look. Frances allowed me to listen to her singing as a guest artist on her dad's album by The Bottom Dweller's; she sang some really high harmony vocals! I was totally impressed with her talent. Frances has natural highlights in her hair from swimming so much, and her highlights compliment her beautiful green eyes and sun kissed freckles. She was truly a joy to work with, a natural beauty, and we at KLJ Studios wish you the best with your upcoming auditions at the Woodland Opera House.